We are about getting the job done ONE WAY ONLY. We guarantee the best quality work in the state, that means ZERO tolerance for SHORTCUTS. We specialize on helping and educating homeowners about their insurance policies. Related to any previous property damage or any weather activity that homeowners may not be aware of. Get Your FREE Inspection Now! Enter your contact information below to get a 100% FREE Inspection by Best In The Business Construction Company, LLC. THE ONLY THING OUR CUSTOMERS DO! #1 File a claim, which we will walk you through the process, and provide you with the right information to file your insurance claim! 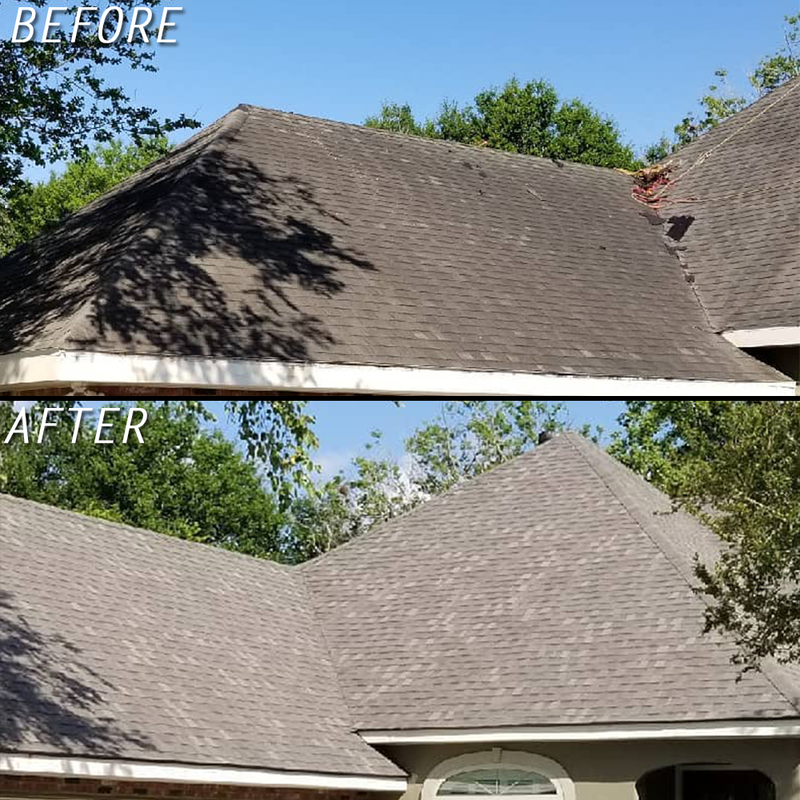 #2 Pick a color of the roof, which no matter the situation, it will be stripped down to the wood making sure that homeowner has a solid decking. #3 Best In The Business Construction Company, LLC will handle the rest! Let us give you a FREE inspection and we will inform you if there is any damage on your property, that your homeowner's insurance may be responsible for. We are the experts on handling insurance claims. Please feel free to contact us, to see if you still are in the required time frame to get your property repaired. Going through the homeowners claims process without a professional opinion, may not be the easiest or the most convenient decision for the homeowners interest. Contact us before you file a claim, and we will provide you with our expert & honest opinion. At Best In The Business Construction Company, LLC we will inform you about additional collateral damage, and we will also provide the service for you. It's easier and convenient for the homeowner, not have to deal with more than one service provider. We provide our services in Lafayette, LA and the surrounding areas. Why Should You Place Trust In Us? We will walk you through the claim process & provide you with the right information on your best interest. Once the job is complete, we take it very serious to clean after ourselves before we leave your property. We will not waste yours, ours, or your insurance company's time. We will give you our honest opinion.